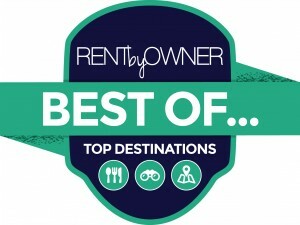 RBO Best Of: Top 5 Florida Beach Towns! One of the top destinations people are dreaming about when they come onto our site looking for a vacation rental is Florida. The gorgeous beaches, year-round amazing weather, and endless activities to fill your days (not to mention Disney, for the little ones and little ones at heart!) make it a dream destination for families, honeymooners, snowbirds, and groups of friends. Because of this, we’re launching a series called “Best Of Florida” – awarding places our customers have told us time and time again are MUST-VISITS when you’re in ‘The Sunshine State’. From cafes to fitness centers to restaurants to ice cream shops – we’re going to be naming the best of the best. For a province with so much rugged, natural beauty to marvel after, British Columbia also offers modern tourism right in the middle of it all. The capital city of Victoria is the political heart of British Columbia and is also the home to some of the best museums in Western Canada. With so many different modes of transportation, tourist can be carted around by double-decker buses, horse-drawn carriages and even water taxis or ferry service which transports passengers to remote islands and inlets. The ferries operate along the magnificent coastline, serving almost 50 ports of call. Driving routes are scenic with good signage, making road trips enjoyable and easy. Of course, rail is also available with the White Pass and Yukon Route running between Alaska and the Yukon by way of British Columbia.